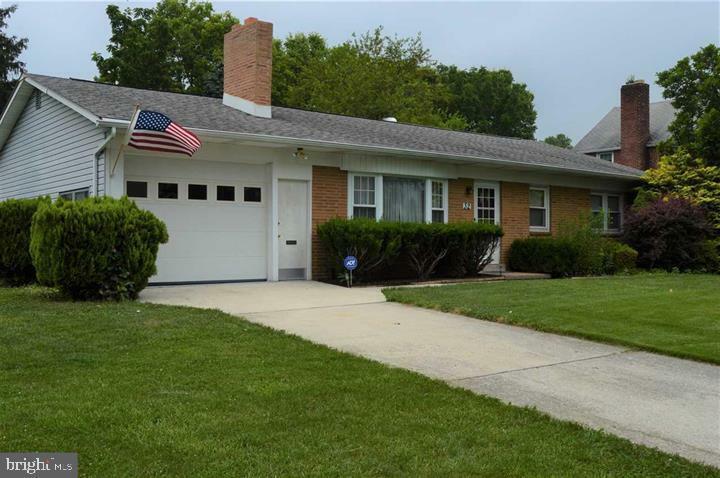 Welcome Home to this 3 bedroom ranch house in Hampden Twp situated on a corner lot. Great space in the large eat-in kitchen and dining area complete with original charming built in cabinetry. Entering the front door during the day you will find a bright living room and then cozy up next to a gas fireplace on the cool evenings. Home has wood floors and a full basement with 2 rooms of finished space. Tandem garage can easily fit 2 cars and has a large area in back that can be used for family gatherings, work shop, mechanics area or a number of other uses. Enjoy the warm evening in the sunroom overlooking the rear yard. Home has newer roof and windows. Great location close to major routes, shopping and schools.